Section 24 Tax Changes - How To Beat Them! 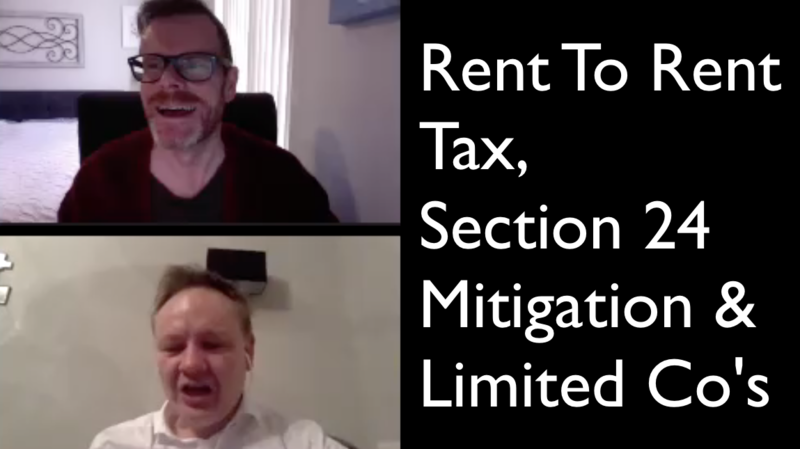 In this in-depth interview, property tax expert, Simon Misiewicz explains the Section 24 tax changes and how investors can mitigate the effects. Simon Misiewicz: Let's take a bite at Section 24 tax. Now this is an interesting one. And I was half debating should I put it in, should I not put it in into a rent rent presentation because, well, let me come on to why later on. But let me just give you a bit of an overview of what Section 24 is all about and how it's going to affect people in the future. Now I'm talking to you because you may have properties in your own name as well as having rent to rent, but it's it should be fascinating just to go through this example. Section 24 is mortgage interest relief cap. So what the government decides to do is not allow the mortgage interest costs to be offset against your property income and what I've done is demonstrated this by showing you Jane who is a high rate taxpayer and you've got the budget before the budget announcement. So 16/17 minutes before Section 24 came in and then you've got after the budget changes came in, which is 2021. And what I've done here is that you'll notice direct comparisons between these two years in question. Now the incomes obviously aren't going to change but what you should be picking up on is that 8000 pounds worth of mortgage interest costs was allowed in the 16/17 tax year but isn't allowed in 2021. What that means is, for poor old Jane is that currently, she's running this property at a 1500 pound loss. Now there are lots of people out there that are employees, that look at property as a capital appreciation asset and therefore are not too bothered about if they make a bit of a loss on their property. Crazy thought by the way, but this is very true. This happens quite a lot. After the budget changes though, poor old Jane's gonna go from a loss of 1500, which she's expecting to see every single year. And HMRC are going to say, No, no, no, we're going to tax you because you made a profit of 6,500. The difference between the 1,500 loss and the 6,500 is nothing more than the 8000 pounds worth of mortgage interest costs which has now been removed. So what does this say for Jane? Well, Jane, bless her, in 16/17, clearly if you're making a loss, which that loss can be carried forward for ever and ever. Until it has been used up, will not pay any tax. However, the same scenario is whereby we're now full flow in Section 24 20/21. She has made a paper profit of 6500 and she's got to pay 2600 pound tax, but you know HMRC very generous aren't they? So they gave her a 20% tax relief on those mortgage interest costs which still means that she's got a tax bill for this property of 1000 pounds. Even though she's making a 1500 pound loss on the property and now, she's got a cash flow out of 2500 pounds, just to keep this property going. Now, it'd be interesting from your side John because obviously you're in Arizona right now but you clearly have UK assets. Is this the kind of picture that you're seeing some of your attendees worrying about on their tax returns. John Wilson: Well, yeah, I mean there's definitely concern out there, but I think people are still a little bit foggy about exactly how it's going to affect themselves. But yeah, it's good to see a an illustration here of how it's going to work. It's not a pretty picture, is it? Simon Misiewicz: It's not, no. And I think the one thing I would say is that, they produced a report that he said that 65% of landlords still do not know what the Section 24 tax changes are, never mind how it's going to affect them. So whenever I put this slide up, it is a quick pictorial evidence that Section 24 is going to have a negative effect. I mean, we've had clients that he's got a tax bill of 145% of their property profits. Which, you know if this guy made 20,000 pounds worth of profit. He's giving that and a lot more to HMRC, so he's not making any profit at all on his property income because of the Section 24 tax changes and this is why I wanted to get it in there. Because the big thing for me is that the Section 24 tax changes, I would say yes, this is a serious issue right now because 20/21, 22 is coming quite quickly. But I think there's also a Section 24 compound effect because right now the interest rates are really, really low. But if the more that that increases, more interest is going out of your bank account, but you're not getting the tax relief on it. So I think as we go through the phasing for the Section 24 tax changes coming in, and the inevitable increase of interest rates, we will see a more hurtful effect of the Section 24 tax changes coming on board. Simon Misiewicz: And this is one of the things that we do for our clients interestingly enough, now so we will take an example. This is an additional rate taxpayer so one who pays 45 percent tax. Now what we were doing for this client, and all of our clients, interestingly enough, is year by year is saying, well if you put your property profits are 35,000 pounds and that continues in the same vein, with the same amount of mortgage interest cost, even though we know it's going to increase. 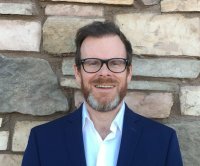 We are now indicating what the amount of property tax is going to be against that profit. And as you can see in this example, this person has a shocking 45 cent tax bill but actually by 2021, their tax bill is actually 88% of their property profits. So we do this for every single client to help them understand well if you don't do anything, then this is going to be the type of liability that you will be likely to face. However, I don't like to be glass half empty. One of my my mantras is: try and find something that's even better than the situation at hand. So, like many accountants, I'm sure, we went away and we investigated how we could avoid the Section 24 tax changes. And interestingly enough, serviced accommodation, holiday lets are bang up there in terms of avoiding the Section 24 tax changes because it's not a residential property. Serviced accommodation for all intents and purposes, is a trade and therefore doesn't have the stigma of Section 24. And you'll notice that there's a lot of people, especially in London, albeit that's been curbed now with the local authority squashing the use of holiday lets use class. But also around the London area and indeed Dorset but those kind of areas, we are finding that it's a lot of people now using the rent to rent strategy, but rather than rent it out as an HMO, they will rent it out as a holiday let or serviced accommodation which means it can generate an awful lot more rental income. And that's great for those because anyone who's doing rent to rent obviously is not going to be affected by the Section 24 tax changes at all. And that means that they can use these as holiday let or serviced accommodation to generate even more income. So there's a double whammy in terms of how to avoid that tax having no mortgage well. Rent to rent: you don't have a mortgage do you so you're scot free. But I would also say to people, maybe having no mortgage anyway is probably a good thing and the sensible approach going forwards. Anyway, like me, many property investors will get a mortgage in the vain hope of capital growth, and that actually worked really well for me in the 80s and 90s where capital growth was was really doing well. Now you can see that the capital growth isn't doing so well. Especially with concerns of Brexit and various other uncertainties, you know, are we can see that growth? And therefore, is it better to have four properties or one? My view now right now is to have one property. I have less tenants. I have, you know, paying off my mortgage means I don't have to answer the banks. And I can do a lot more IHT (inheritance tax) type planning as well. Last one is obviously you can put on losses. So if you've got losses on your property portfolio right now, then Section 24 clearly cannot affect you. Because if you've got a loss. Then a loss is taxed at zero percent, so technically the Section 24 tax changes may not affect you. But again, as I said in the earlier slide. It could be a compound effect where your losses are being withered away quite quickly by Section 24. Mortgage interest rates going up and Section 24 has been phased in. All of a sudden, you could be faced with a huge tax bill without really realising it, in the fourth year 2021. And we do say to a lot of our clients, buy properties in a limited company. Now we say that because if you if you don't need all the money from that limited company and you're happy to reinvest, then the tax rate in a company's just 19%. So it makes a lot of sense sometimes to use a limited company. Albeit, I appreciate that subject itself is a webinar all on its own. So we're not going to go into too much detail about that tonight. But hopefully John, you can see some other mitigating factors that people can take. Is there anything in that list that you kind of think yeah there's a few of my guys that could use these strategies right now? John Wilson: Yeah, definitely. I think people are are looking at service accommodation. That's very popular right now as well. And as you say that means its not residential anymore. And that takes away the the Section 24 risk completely. So definitely. Simon Misiewicz: So one of the things I noticed still on this one, is rent to rent, not for you, but what about your landlords? And this is probably where I'm going to delve into the Section 24 tax changes and in particular you running rent to rent businesses. You know, you may sit there and say, well, Section 24 doesn't affect me at all. So I'm sitting here quite comfortably. But what you have got to realise as well, the person that's renting the property to you. They could be a high rate taxpayer because of these changes and therefore you know the Section 24 tax changes does affect them, they may pay more tax, what are their choices? And that's something that you now need to start thinking about from a positive perspective. A couple of things that landlords can do: they can sell the properties beneath your feet. You know, we've seen already some situations, whereby the owner of the property has put the house on the market. Before you know it, they're giving notices to the tenants to vacate the property. And unfortunately, this was a rent to rent and they're asking us for legal advice. Now, we can't give legal advice; we're accountants and tax advisors. So, but they spoke to their solicitor and they said, well, albeit you've got a rent to rent contract in place. If that property is now owned by someone else, you may as well rip it up because you've got an agreement on an asset that no longer exists. So it can be problematic. You do need to think about that. But what I would say to you is, is that an opportunity for you to buy those properties? So if you start talking to them now and say well, Section 24... Do you realise what it is? They'll probably say no, burying their heads, like many landlords. If you advise them properly and say, well, actually, these are the kinds of things that you need to be watching out for. Are you at risk that the Section 24 tax changes might come into effect? Watch the blood drain from their faces and you say, well, let me take that problem away from you. There are lots of accidental landlords. That's why they're using your services as rent to rent. They don't really want the problem. They don't want to all the hassle and happy just to have minimum of fuss, whilst you do the rent to rent deal with them, but it is an opportunity for you to think about well, can I buy that property from them? Or indeed, could you sell that asset to another investor maybe using the limited company and you still do a rent rent with them. I think it's something that I would say to you right now is: be proactive and speak to the landlord now. Get a feel of what are they likely to be doing? What's their headspace saying to them? Are they going to make a change? And if that's going to be a change, how will that affect you, and can you do something about it?